All coaches are required to fill out a Volunteer Coach Form each season, included on the back of participants registration form for those sports needing coaches. All coaches who have not met the requirements listed below will fill out the the Coach Requirement Form and complete the following. All items must be included and handed in at one time to the Recreation Department. 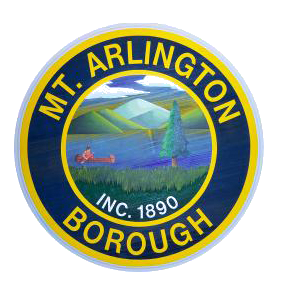 All coaches will be required by the Borough of Mt. Arlington to be fingerprinted prior to coaching. This needs to be repeated every 3 years. This is reimbursed after the completion of the season. Please contact the Recreation Department listed on the form for the procedure. All coaches are required to take the approved Rutgers Safety Training Course. This is a one time course. Contact us to find a course. This is reimbursed after the completion of the season. No new coach will be permitted to take the Head Coach position without completing a minimum of at least one season as an assistant soccer coach in Mt. Arlington. Unless approved by the Soccer Coordinator and RVSL League Rep.
All coaches will be required to attend the Mt. Arlington Coaches Meeting at the beginning of each season. Head coaches (or designated Assistant Coach) will be required to attend a Coaches Meeting at the end of the season to return all equipment, documents, keys, etc. All LEAGUE coaches must fill out the NJYS Kidsafe Form for Fall valid through the Spring. League Coaches along with the above you will also required to attend the RVSL league meeting to obtain a photo ID through the league. League coaches must have this card on them whenever they coach a league game.